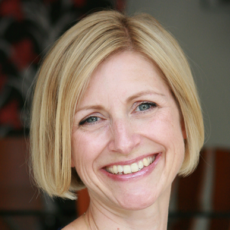 Alison is a results-focused coach and facilitator with over 15 years’ international experience of working with senior leaders across multiple sectors. She has a strong track record of enhancing already excellent performance. Alison helps her clients to embed a desired culture in their team, enhance their influencing and impact skills and achieve transformational leadership to increase team performance. She works to broaden a leader’s gravitas and capacity to influence, ensuring an ongoing collaborative approach, embedding the new culture and securing the sustainability of a teams’ performance. Alison has a straight-talking, no jargon approach. She is very insightful, heightening a leaders’ awareness of their own impact. No topic is out of scope, no matter how insignificant or overwhelming it may feel. Her style is one of high support, high challenge and clients leave sessions with greater clarity and confidence. Her aim is always to leave the client feeling in control and confident about how to deal with their challenges going forward. Clients say the impact of her coaching is both transformational and sustainable. Alison has been coaching since 2002 and works at Board Level, CEO, MD, CIO, Partner, VP, Director and their teams. She has a strong retail background but also has experience of working across other sectors such as Finance (Deloitte, Barclays, Barclaycard, John Lewis Finance, HBOS), IT, Retail (Waitrose, John Lewis, New Look) Telecommunications (Vodafone, Jersey Telecommunications), Engineering (Mouchel, Aecom) and Pharmaceuticals/Medical (Astellas, Shire, Vertex, Novartis). In addition she also works with many Not for Profit organisations and charities. Her experience allows her to flex her style and content to differing needs. FIRO (Fundamental Interpersonal Relations Orientation), LI (Leadership Inventory), GSI (Group Styles Inventory), LSI (Lifestyles Inventory) and EQi.